The gross federal debt, which represents the federal government's total outstanding debt, consists of (1) debt held by the public and (2) debt held in government accounts, also known as intragovernmental debt. Federal government borrowing increases for two primary reasons: (1) budget deficits and (2) investments of any federal government account surpluses in Treasury securities, as required by law. Nearly all of this debt is subject to the statutory limit. 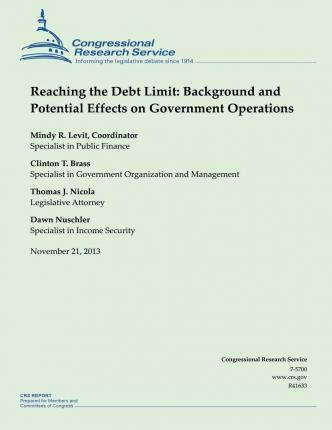 The federal government's statutory debt limit is currently suspended through February 7, 2014.